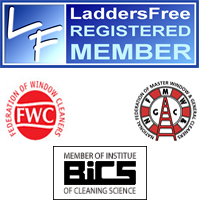 New Look Of London Commercial Window Cleamers has over 25 years experience of professional commercial window cleaning in Bow, East London and beyond. As commercial window cleaners in Bow, East London New Look offer excellent window cleaning services for commercial clients. We employ modern commercial window cleaning methods as well as conforming with health and safety regulations. We provide commercial window cleaners in Bow for a range of buildings, including office blocks, apartment blocks, sports complexes, schools, business parks, car showrooms and housing estates. New Look offers a reliable, cost effective service whilst being conscious of Health and Safety requirements. Contact us today for a very competitive quote for all of your commercial window cleaning needs in East London, Bow, E3. You will find that we are heavily focused on extraordinary customer care and service in addition to making your windows sparkly clean!